Simple manipulation, multiple footworks get a lot of professional support from players. Small size, more flexible site selection, play with it anywhere and anytime. 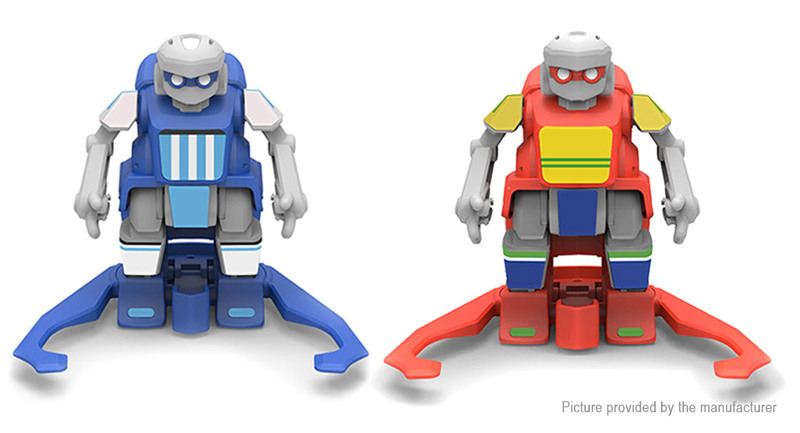 Comes with stickers, decorate your R/C robot and form a team by stickers&apos; type. Suitable for office building, brothers dinner, class reunion, etc. Beginner and professional modes can be switched easily.